Bottega Veneta intrecciato woven lambskin shoulder bag. Leather top handle with chain insets; 8" drop. Flap top with snap closure. 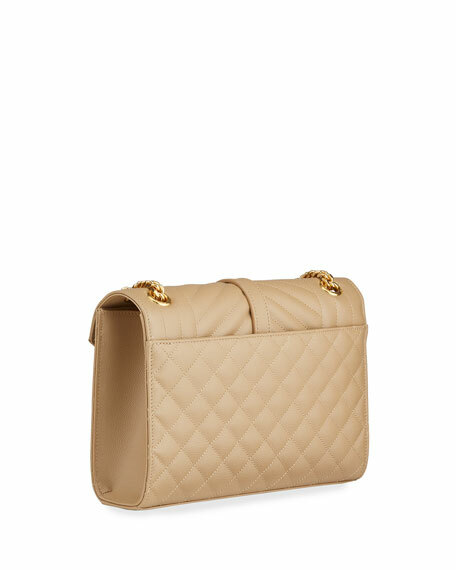 Bottega Veneta intrecciato woven lambskin shoulder bag. Leather top handle with chain insets; 8" drop. Flap top with snap closure. Inside, suede lining and cell phone pocket. Divided interior creates two compartments. 8.4"H x 11.7"W x 3.1"D. "Olimpia" is made in Italy. MICHAEL Michael Kors smooth leather shoulder bag with golden hardware. Chain top handle. Removable, adjustable chain/leather shoulder strap, 11.5" drop. 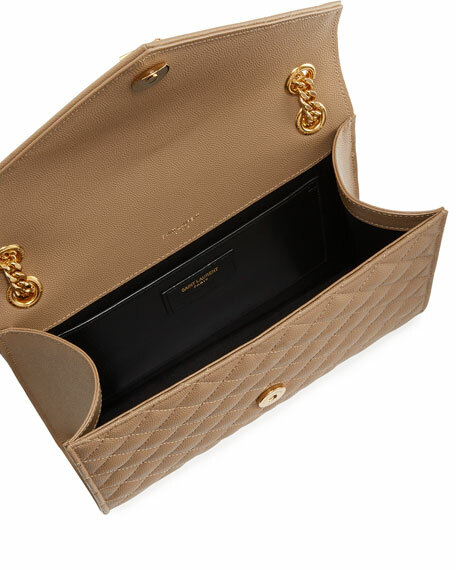 MICHAEL Michael Kors smooth leather shoulder bag with golden hardware. Chain top handle. Removable, adjustable chain/leather shoulder strap, 11.5" drop. Flap top with logo-engraved pinch-lock closure. Exterior, back slip pocket; flap pocket under top flap. Interior, one zipper compartment. 6.8"H x 10.5"W x 4.8"D. "Cece" is imported.